CCTV cameras are a known technology for the present world. The world has extensively used this technology for different monitoring purpose. The history of CCTV cameras can be traced back to 1942. The first CCTV cameras were installed at Nazi Germany in the year 1942. The noted German engineer Walter Bruch was the designer of the first CCTV camera system. The whole system was designed and installed by him. The operations were backed a Siemens AG. The first CCTV cameras were only able to motor objects. They were not equipped to records and store recordings. These systems use to run on magnetic tapes that were needed to change from time to time. This whole process was complicated, costly and time-consuming. The 1950s and 1960s saw a diverse use of CCTV Cameras. The technology was taken in use by the British railways. The railways used this technology for monitoring purpose. The railway was earlier facing losses due to damages of railway properties by antisocial elements. However, after the installation of CCTV cameras, the railways benefited exponentially. 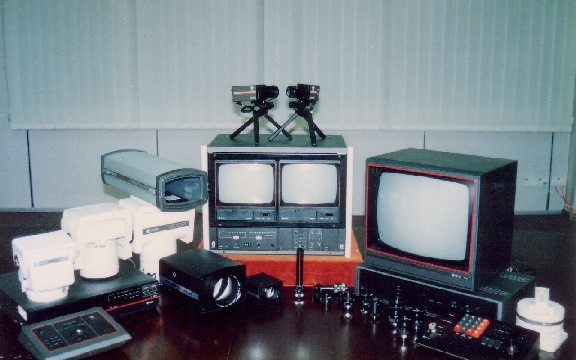 The period of the 1970s and 1980s was very crucial for the growth of CCTV cameras. During this period, the CCTV cameras were used on a larger scale. CCTV technology was used for monitoring purpose at the underground railway stations, soccer stadium, parking areas, etc. Almost all the major roads of London were covered with CCTV cameras by the end of the 80s era. Seeing the immense benefits of CCTV technology in the field of monitoring and security different governments allocate d budget for development work in this technology. In the decade of 1990s, the CCTV camera technology developed significantly. The technology of digital recording helped to increase their popularity on an enormous scale. The cameras were used to monitor traffic signals. It helped to improve the course of traffic enforcement. These case studies made different organizations to make use of such a useful technology. The period also marked the use of a CCTV network camera for home security purpose. With time, technology such as wi-fi connectivity for CCTV network system has further enhanced their capabilities. At present CCTV, technology is extensively used for video surveillance for parking lot different organisations and households. Video Surveillance for industries became a compulsory part of their security infrastructure. Almost every big organization uses CCTV in video surveillance for parking lot, entrance gates and other areas. The benefit of this technology is that it eliminates the need to have a human security force on a large scale. Further development in CCTV technology made them more enhanced more than their previous versions. Technology such as motion sensor has enabled these devices to act smart CCTV cameras. These sensors can record even slightest of unusual sounds and movements and create an alert for the same.